10 good reasons stem from you. These are mine. What are yours ? Get out of your sofa because it just an illusion of comfort. We are making a history, we are leaving a mark. Let catch all the pokemon ! It does not matter how much Pokemon you have catch. It is a personal time you and Pokemon Go. Take your time, enjoy the great game. 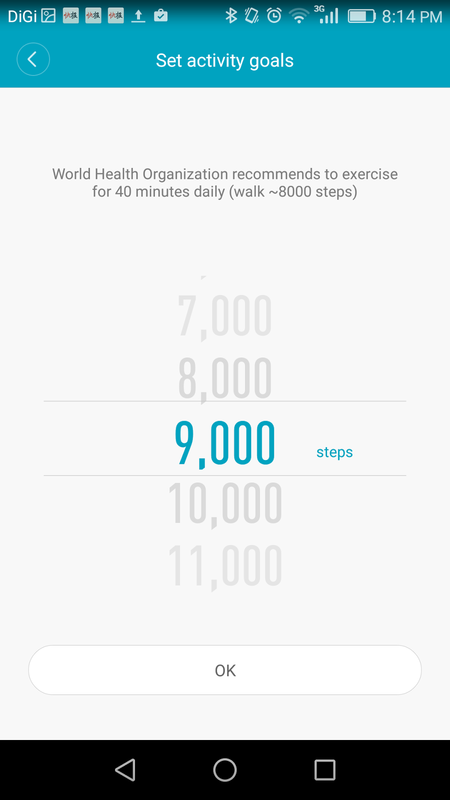 One day in the near future, you will thank Pokemon Go for it encourages spending time walking around for your health. 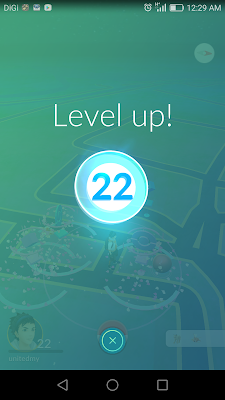 In my experience, I have endured 2 hours of walking with Pokemon Go. The distance recorded was 2 to 3 Kilometers. 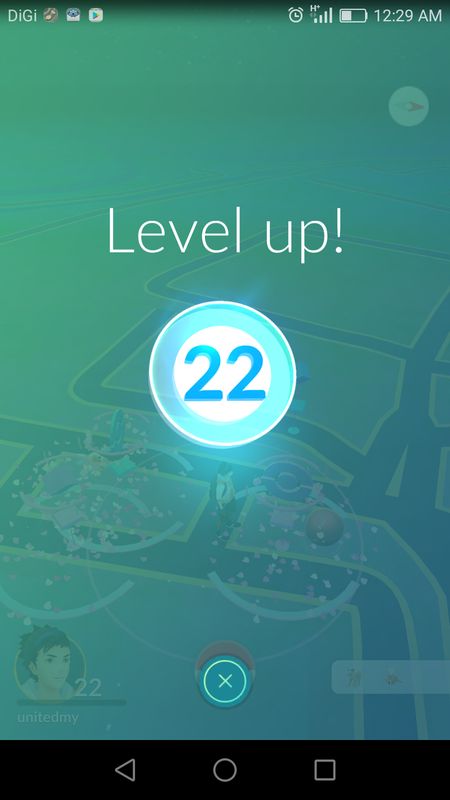 That is something I cant achieve without Pokemon Go. 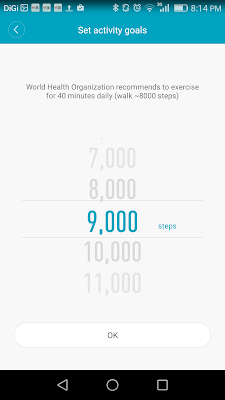 It is harder than you think, 2 to 3 kilometers is merely less than 5,000 steps. Still, it better than nothing. When an extremely rare pokemon appears, the amount of excitement is unimaginable. Dragonite is the last pokemon to have in current Pokedex. Egg hatching is one of the motivator for distance walking ! 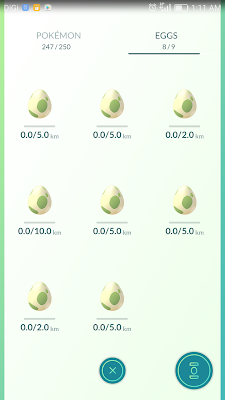 One can get some rare pokemon in 10 KM eggs. I think you guys share the same dream as me to be the Pokemon master. This dream however, faded through times. In my time with Pokemon, I was 8 years old and thought the other part of the world lies a Pokemon island where Pokemon did exist there. Well, that happened after finish watching some episodes of Pokemon in my CD player. The pirated CD was like RM12.90 with 3 Pokemon episodes in one CD. That was not just it, when I was much younger, fighting my sibling over a Gameboy device with Pokemon game in it. The game is not about catching the strongest Pokemon, it is about catching all the Pokemon appears on your screen. Even the strongest Pokemon will just contribute 100 experience points to your level. The tips is to catch all Pidgey, Ratata, Weedie and Caterpie as these gives you 500 exp points for every evolution made. Everytime I turned on the Facebook or having a lunch at one of the restaurant, I got "Pokemon" whispering everywhere. 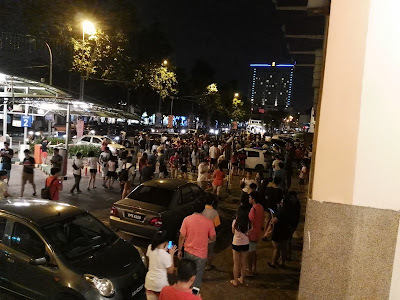 I do not have enough reason not to join the Pokemon Go craze. It just too much to bear everyone is on their phone with Pokemon Go in it. When you have all the necessary skills, it time to hit the GYM. 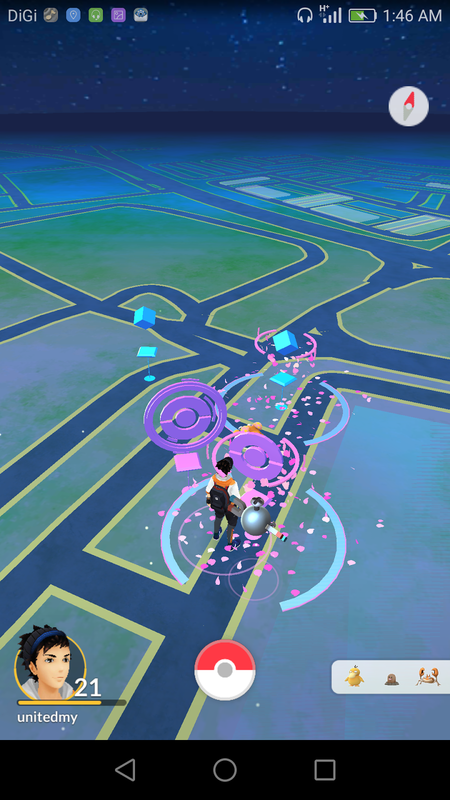 In Pokemon Go , the GYM never give out any badges so do not go all-out screaming. It fairy easy to conquer as long as potions and revives are enough to replenish. 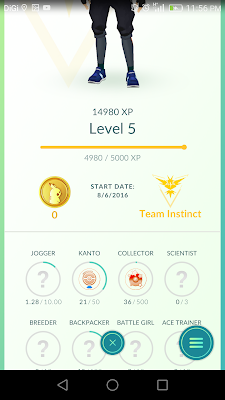 I am team instinct and I am not afraid to admit although we are few, we still win anyone with enough potions and revives. So much relieving that potions and revives do not discriminate. 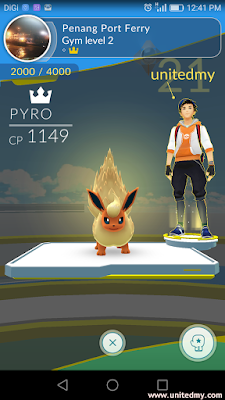 To be honest, Pyro is not even my strongest Pokemon. 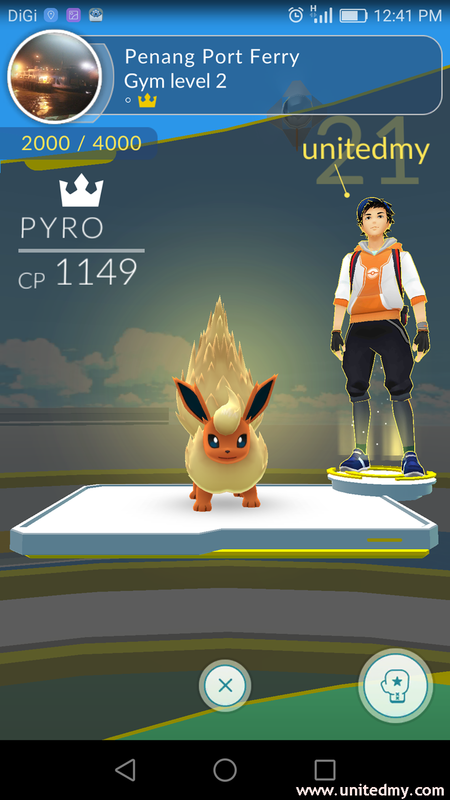 It is wise only use strongest Pokemon to attack and not defend because everyone get the chance to win the GYM. 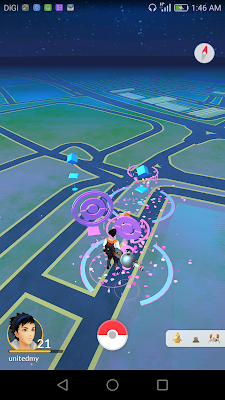 Every Pokestops and GYM means something special. The Pokemon is just another pulling factor or a beautiful cover to be attractive to the content. The game is created to encourage people to explore the world. It is a game to get your boots dirty and physically heathlier. It's hard to contain the excitement of so many people shares a common goal to capture a single rare Pokemon. The game first launched on July 2016. The overwhelm feeling that the company behind Pokemon Go decided to launch it region by region excluding where you live. As if I was like born to a wrong place. "When the game going to be released in Malaysia" ? It still clear how much anxiety I got during this period of depression. 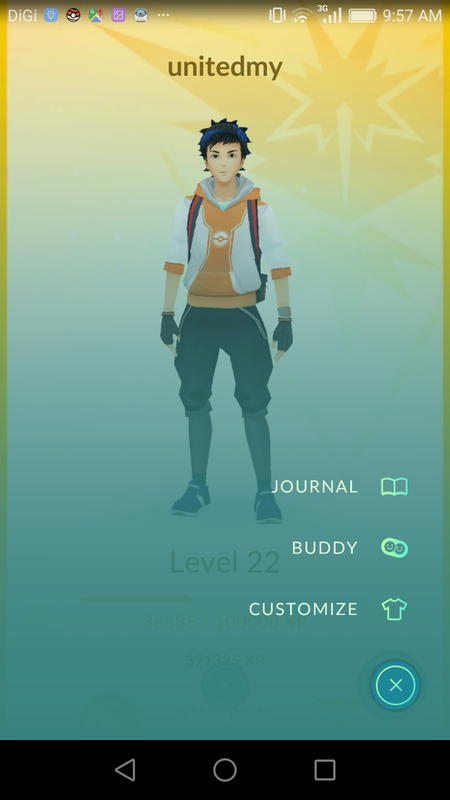 To the extend that, I would always check Play Store when the game can be downloaded to my phone and frequently visit the Pokemon Go Official Facebook page for their newest announcement. I never condone myself downloading the apk file for my android phone. It was so insecure ! The wait is over, I have found Dragonite on the eve of Hari Merdeka to be exact 30/8/2016. 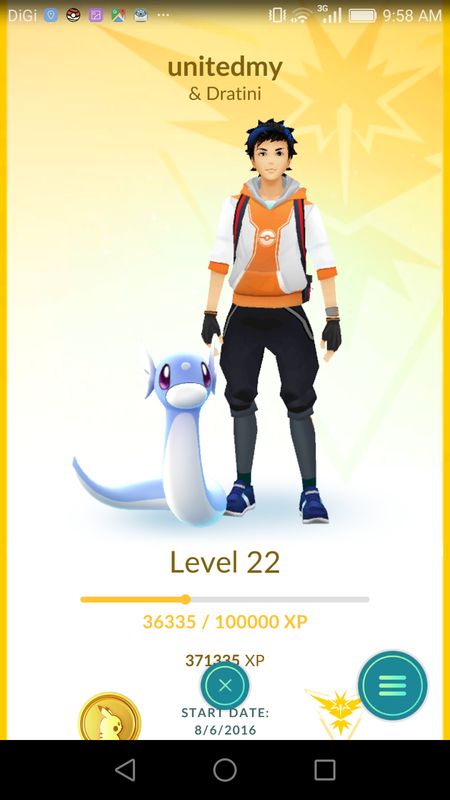 It still crystal clear that the countdown was over and a Dragonite appeared. But, the image explains thoroughly. The point is I did not bring home Dragonite with me that night. What a night ! 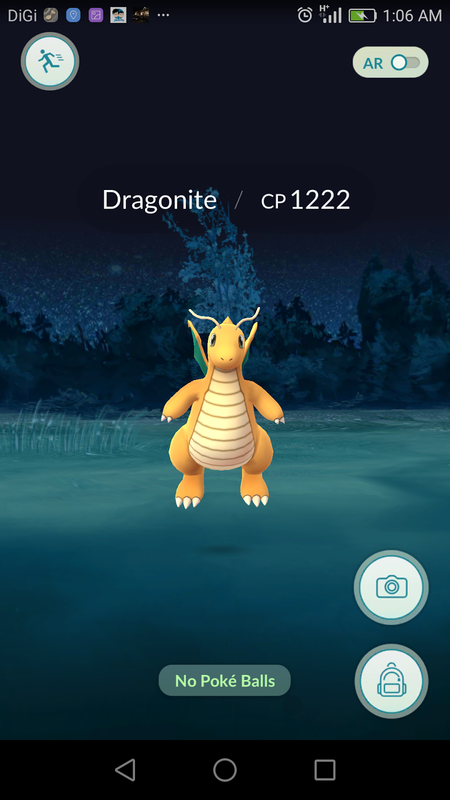 The lesson learnt that do not try to catch Dragonite using curve ball, you will never reach it ! The game get some good updates in order to perfect the game in accordance to player demand. I think the greatest update is to make the game available for everyone. 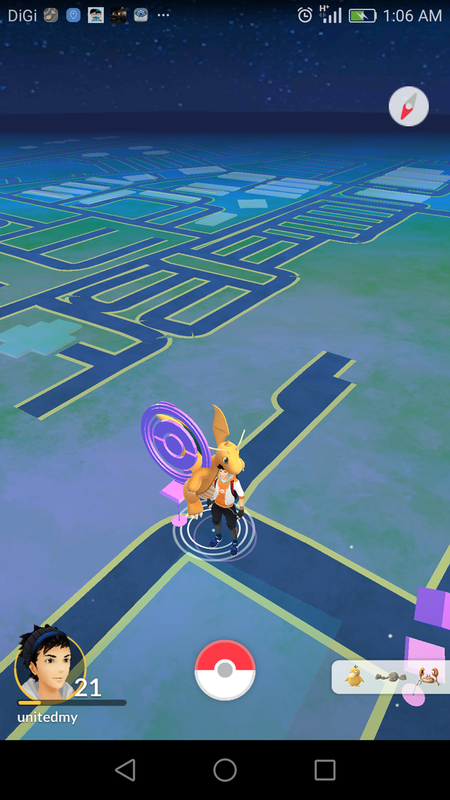 The update that take away Pokemon footsteps is one of the example to make the game much more efficient. In return, the game is opened to more region due to the reduced overload of game data. 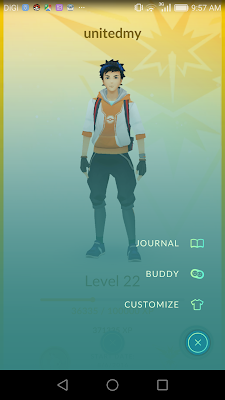 The newest update to ensure players get their boots even dirtier by implementing buddy system that rewards player with candy. That fine by me ! Every new updates carry a sign of effort by the company behind Pokemon Go to work out the best interest of the players around the globe.